Carolyn Reyes - Entertainment Solutions, Inc. Sponsorship Director/New Business Development, Entertainment Solutions, Inc.
Carolyn Reyes has been working in events for nearly a decade. She began her career by representing and booking local bands around the valley. 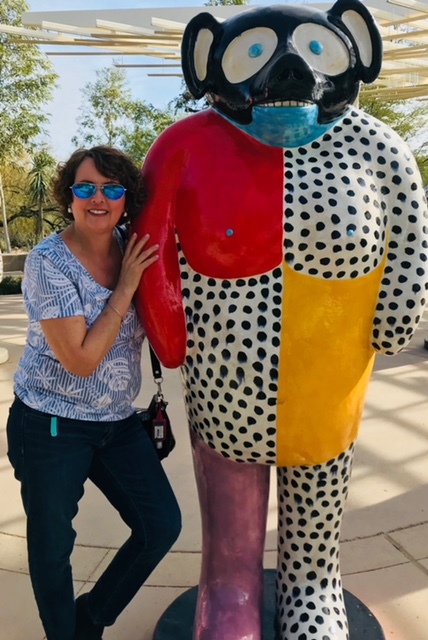 Her studies in Communications and Special Events at Arizona State University West gave her the foundation and the opportunity to locate talent, organize events and negotiate contracts. Carolyn has extensive experience in both public and private events. Prior to working at Entertainment Solutions, Inc. she spent much of her time volunteering her services to different organizations, assisting them in acquiring entertainment and managing event timelines. She worked on numerous events throughout the valley including the City of Glendale’s World Port, Glendale Glitters and Chocolate Affair. Carolyn also served as an intern at the 2002 Arizona State Fair where she increased her knowledge of special events. It was just a year later that Carolyn joined the Entertainment Solutions team, working solely on booking unique entertainment, creating interactive attractions and procuring sponsorships for the 2003 Tempe Music Festival. Her scope has now expanded to coordinating entertainment for marathons, developing a wide variety of engaging lifestyle events, and obtaining new clients for the company. She continues to book local and regional talent for all sizes and varieties of events. Carolyn never fails to bring together customized entertainment, decor and visuals that truly reflect the client’s theme and purpose for each event.